Don Gray has been arranging music for Southern Gateway since the late 1960’s and has also arranged for men and women’s choruses and quartets the world over. Don has had his music published by SPEBSQSA so thousands of barbershoppers have sung his arrangements and will continue to enjoy them for years. 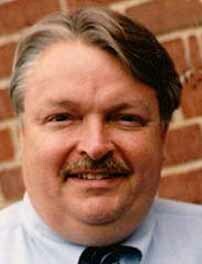 The Southern Gateway Chorus is indeed fortunate to have Bob Mucha as Assistant Director and Vocal Coach. He received a degree in Music Education from Miami University (Oxford, Ohio), and continued his graduate work at Ohio State University; Eastman School of Music and Indiana University. After his retirement as Director of Choral Activities in Middletown Public Schools, Bob served two years as a Music Specialist at SPEBSQSA headquarters in Kenosha, Wisconsin. He is in constant demand throughout the barbershop world as a coach and teacher of fine quartets and choruses. The Southern Gateway Chorus is indeed fortunate to have Bob Moorehead in its ranks. Along with his quartet and chorus coaching abilities, Bob has been a SPEBSQSA-certified judge in the Sound and Singing categories since 1976. He became hooked on barbershop quartet singing in high school, where some friends got together to “woodshed” tunes and sing on the annual “Talent Show”. Bob fondly remembers, their rendition of “Coney Island Babe” bringing the house down. His college years involved singing in a quartet that included Rod Nixon, baritone of the 1997 International Champs-Yesteryear. Bob has been a member of Southern Gateway since 1965 and has performed with them in nearly every International appearance, except Detroit and Atlanta, at which he served on the judging panel. 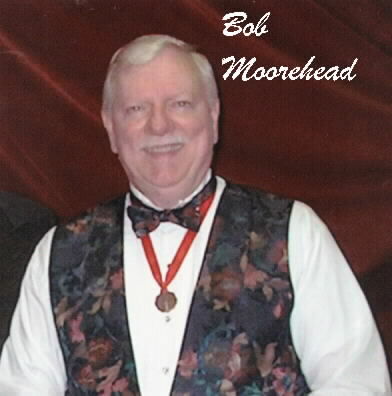 As a performer, Bob has several JAD Championships as Tenor of Act IV, The Naturals and Rumors, as well as several “Top Ten” International appearances with The Roaring 20’s and Rumors. His highest achievements occurred with The Naturals, as multiple International medalists during the early 1990’s. In the “real world”, Bob has spent nearly 40 years in the insurance business, and is currently owner of an Independent Agency in Milford, Ohio. Brian Barford, retired as a Principal Scientist with the Procter & Gamble Co. and has been a member of S.P.E.B.S.Q.S.A. since 1971. After graduate school (1973), Brian moved to Cincinnati and joined the Southern Gateway Chorus (1973, 1992 Champs) where he has been Asst. Director and Coach for over 40 years. In Cincinnati, Brian joined a quartet (Bandwagon) that competed in several Int’l contests. Along the way, Southern Gateway earned a dozen medals and won the Gold Medal in 1992 in New Orleans! Brian started coaching in 1972 and has worked with dozens of quartets and choruses, recently including groups such as BSQ, Fanatix and the Gem City Chorus. In 1990, Brian was awarded as Johnny Appleseed District Coach-of-the-Year. In 1995, Brian became a certified Singing Judge in the Society, and has participated in over two dozen Top Gun Schools and Harmony Education Programs over the years. Brian currently sings Lead in the seniors quartet “Senior Class”, which has competed at three International Senior Quartet Contests in 2003, 2004, and 2005.